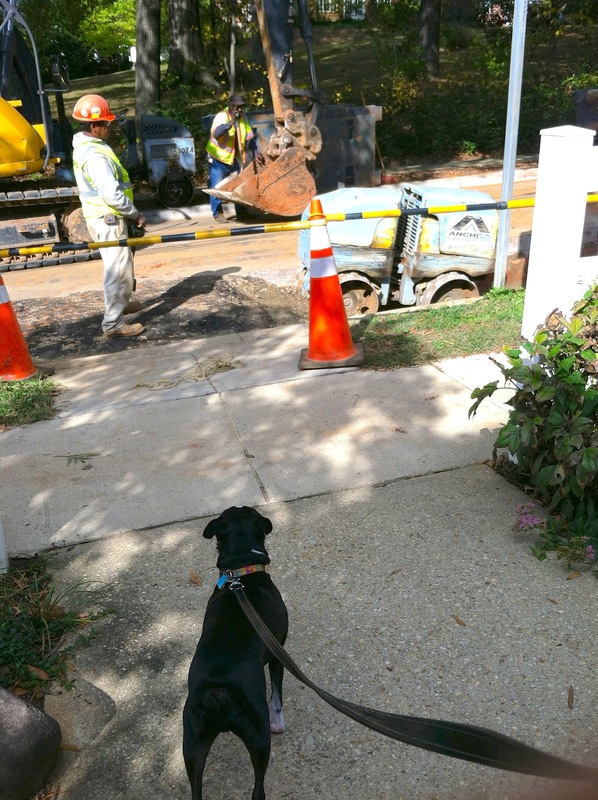 Murphy, our Boston terrier, is very interested in the sewer-pipe replacement activity going on in front of our house. As the photo shows, he pays strict attention to all that goes on, though he is sometimes nervous about the loud noises and shaking of the house that are part of this effort. Here we see Murphy watching as the LBT is smushing the dirt in the big hole dug by the other machines. Yes; that is a wonderful thing to contemplate, and I hope that I can restrain myself from lording it over those with lesser sewerage-feeder pipes. They can’t help it, and it would just make them jealous.